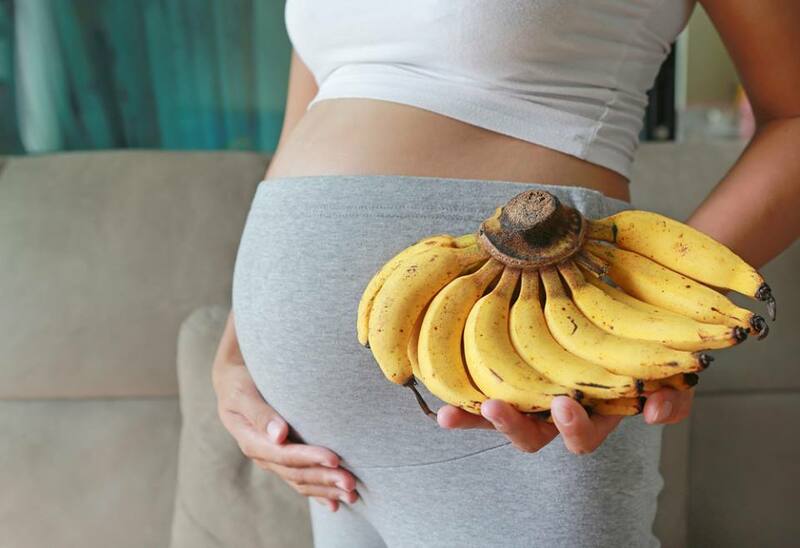 Banana Benefits Through Your Pregnancy Journey: Must Read! In Nigeria, you’ll find bananas wherever you look. You can buy it in the market while doing your weekly shopping. And if you are ever stuck in traffic, buying bananas is as easy as just winding down your car window and picking a bunch from a seller’s tray. The good news is that there are studies to prove that banana benefits women who are trying to get pregnant, women who are already pregnant, and moms going through the weaning stage. Infertility is a struggle most women are familiar with. A person is said to be infertile when they have been trying to get pregnant without success for more than a year. Sometimes doctors would recommend a change in lifestyle and diet to couples who are trying to conceive. This usually results in cutting out certain harmful lifestyle choices like smoking and excessive drinking, picking up new habits like exercising, and adopting a healthy natural diet. There are no guarantees that eating certain foods will result in pregnancy, but some foods are can provide the nutrients your body needs for conception to take place. Northwestern University conducted this research which concluded that women need to maintain a sufficient supply of zinc to keep the eggs healthy enough for fertilisation. Folate is folic acid found in food. Folic acid supplements are usually prescribed for women who want to get pregnant. You can get your folic acid requirements by eating folate-rich fruits like bananas, tomato juice, avocado, and strawberries. Vitamin C is important for conception. This study found that Vitamin C can reverse the effects of low progesterone, which is known to cause infertility. Like most fruits, bananas contain vitamin C.
Pregnant women need potassium to function optimally because it can help alleviate some of the uncomfortable side effects of pregnancy and help maintain healthy blood pressure. Leg cramps and normal pregnancy swellings can reduce if the woman eats potassium-rich foods like bananas. On the other hand, low potassium during pregnancy can lead to cramps, water retention or edema, fatigue and irregular heartbeat. Pregnant women may not need potassium supplements if they eat bananas, potatoes, lentils, oranges and other foods that are rich in potassium. Doctors often warn that pregnant women aren’t supposed to consume Vitamin B6 in excess, but this vitamin, when taken in safe amounts, is vital for a healthy pregnancy. Diarrhea and nausea are conditions that sometimes affect pregnant women. Constant stooling and throwing up could result in dehydration and malnourishment. Vitamin B6 is one of the banana benefits because it helps to reduce the severity of nausea in the early stages of pregnancy. Additionally, you can firm up your stools and get rid of diarrhea during pregnancy by eating bananas. Bananas are part of the BRAT diet, which is an acronym for Bananas, Rice, Apple sauce and Toast. This diet is recommended for people suffering or recovering from stomach illnesses like nausea and diarrhea. Taking a baby off breast milk can be difficult for both the mother and the baby. You can make weaning easier by introducing bananas to your baby’s solid food diet. Your baby will enjoy many banana benefits because it is soft enough for their teeth, sweet, and highly nutritious. Your baby’s solid food diet needs bananas because they are rich in Vitamins A, B12, and B6. It is also a good source of folate and potassium. You can also combine bananas with other fruits and vegetables to make different kinds of baby food so that your little one doesn’t get bored with their food choices. Banana benefits are important no matter what stage of life you are in. It is an excellent fruit for women who are looking to get pregnant, it is great for pregnant moms, and once the baby has been weaned, you can introduce bananas to their solid food diet.